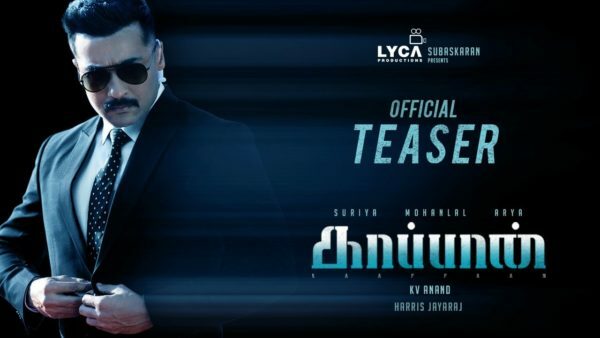 The official teaser of KV Anand’s Kaappaan has released, and it promises an interesting political thriller and action film. Suriya, Mohanlal, Sayyeshaa, Arya and Boman Irani star in the film. Music for the film is by Harris Jayaraj, cinematography is by Abhinandan Ramanujam and MS Prabhu, editing is by Anthony. 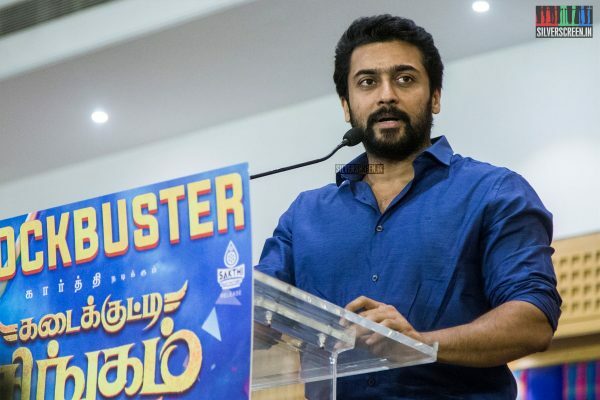 The film’s hero, Suriya, is introduced as many characters – a bomber, a government official, a farmer, a disabled Muslim man – all possibly with the same pursuit and same politics. Mohanlal plays a prime minister who is trying to make peace negotiations. Sayyesshaa is an agent tracking Suriya, and Arya, her lover, is the son of a politician who is seen making an attempt at questioning him. The teaser of the film calls out systemic oppression and explains protests as reactions to this. We see that while people are busy naming Suriya’s characters terrorists or naxalites, and while someone high up is completely ignoring a prime minister who is pointing out that these are political games, the real attacks are happening else where. Farms are being burnt, people are being beaten in protests, natural resources are being polluted by those claiming rights over it. And all of this is devised by a system in place – the face of which is someone like Boman Irani who is sitting in an office elsewhere planning for India to become a superpower, in what is an obvious dig at Narendra Modi and the BJP. Kaappaan is written by Pattukkottai Prabakar, the crime and triller novelist who has written the story for films like Imaikka Nodigal, Samurai, Kandaen Kadhalai and more. 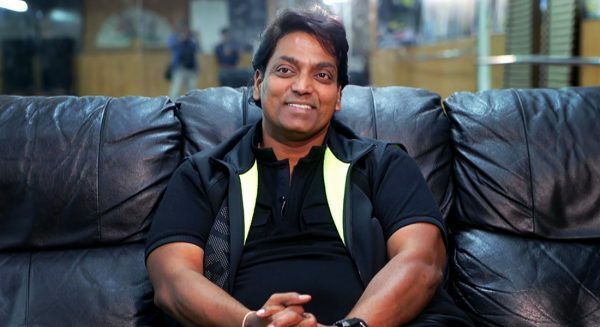 Director KV Anand is working with Suriya for the third time after Ayan and Maattraan. Kaappaan is produced by Lyca Productions, and is believed to be one of the most expensive films in Suriya’s career. The past few days have been celebration time for Suriya’s fans with many exciting announcements being made. The first-look of Soorarai Pottru has just released. NGK starring Suriya as a politician, is gearing up for release on May 31. Suriya’s production Uriyadi 2, a political entertainer by Vijay Kumar, is running successfully.